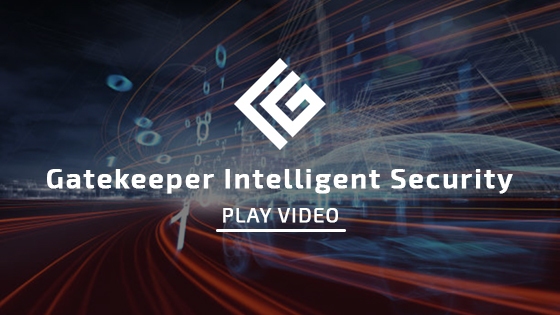 Since 2004—with over 1500 installations in more than 30 countries—Gatekeeper has the depth and breadth of experience that ensures our systems perform at unprecedented levels of accuracy, availability and reliability. Our quality management and commitment to customer satisfaction mean our systems—proudly made in the USA—function without fail in the harshest of operating conditions. State-of-the-art research and development facilities staffed with highly credentialed scientists and engineers keep us on the cutting edge of intelligent optical inspection technology. Gatekeeper systems protect life and property at many of the most recognizable landmarks around the world. Trusted by the US Defense Department, Pentagon and scores of other military facilities in the US and overseas. Relied on by The US Deptartment of Homeland Security to protect its headquarters as well as countless sensitive facilities. Industry leader in border security—with over 2.5 million vehicles inspected at border crossings each year. Protecting several globally recognized hotel and resort chains and properties. Deployed at more royal palaces, presidential residences, embassies and critical government buildings than any other similar technology. Intelligent Vehicle Undercarriage Scanner (IVUS) Using advanced signal processing, generates a “digital fingerprint” to automatically inspect a vehicle’s undercarriage to identify make and model, detect foreign objects and anomalies, and provide alerts regarding potential threats—all within a matter of seconds. Intelligent Vehicle Occupant Detection (IVOD) Performs real-time facial detection and recognition of all vehicle occupants (both front and rear seats) under a variety of challenging conditions including day, night, inclement weather, high-glare sunlight, and through heavily tinted glass. Intelligent License Plate Analytics (ILPA) Employing advanced machine learning, captures high-resolution images of vehicle and truck license plates to accurately provide the plates alpha-numeric value, country and state of origin under all environmental conditions. Inte lligent Train Undercarriage Scanner (ITUS) Automatically identifies and inspects each train car’s undercarriage providing a high-resolution image and the ability to immediately detect foreign objects, anomalies, and potential maintenance hazards under all environmental conditions. Intelligent Shipping Container Detection (ISCD) Automatically recognizes and decodes international shipping container codes, speeding up the security and overall throughput to process cargo tracking at busy border crossings, railways, air and sea ports. Multi-factor Intelligent Security offers customers the ability to increase their security capabilities by easily integrating additional Gatekeeper authentication modules, designed to suit their most challenging problems. For more than 12 years Gatekeeper’s intelligent optical inspection and recognition systems protect life and property at many of the most recognizable landmarks in several countries around the world. With numerous patents granted and pending, we continue to lead the field in intelligent optical inspection technology innovations. Gatekeeper’s technology is protected by the following issued patents: United States of America (8,817,098/8,305,442/8,358,343/7,349,004/9,953,210), Canada (2,599,002), Japan (435,1285), South Korea (10-110,7441/10-093,1420), India (282977), Israeli (203289 & 185459), and Europe (EP 1 854 297 B1). Further Patents Pending in: United States and Europe that cover Gatekeeper’s IVUS and Intelligent Vehicle Occupant Detection (IVOD) technologies.